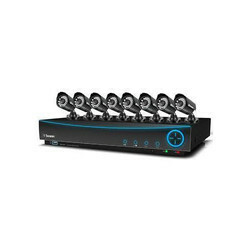 Leading Wholesale Supplier of swann dvr 8 channel system and swann dvr 4 channel system from New Delhi. We are one of the prominent traders of Swann DVR 8 Channel System. All our systems are made at vendor end by use of quality raw material and other electronic components. These channel systems are widely demanded by the customers present across the country. Customers have applauded these DVR 8 Channel Systems for reliable nature. Our firm is well known in the market for supplying quality range of Swann DVR 4 Channel System. These systems are precised in shape and very light in weight. Easy to carry all our systems are easy to operate. These can work in very low power supply. It shows multi functioning. No heating occurs while using this device for several hours continuously. We provide these DVR 4 Channel Systems in perfect packing.